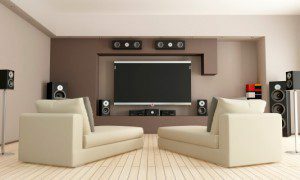 We realize that when it comes to the home theater installation process in Tampa, FL, you’re going to want things done a certain way. There is nothing quite like watching a movie in the comfort of your own home on your own personal home theater system. However, with all of the plugs, wires, and cords that go into the system, as well as wiring the speakers correctly, setting up a home theater on your own is nothing short of a challenge. Take the frustration out of the home theater installation process by letting us help. At 5 Star Electrical LLC, we realize that when it comes to the home theater installation process, you’re going to want things done a certain way. Fortunately, our highly trained electricians are open to listening to your specifications and are willing to make recommendations we think would work with your system. Ultimately, our goal is to make setting up your home theater system easier than you ever could have imagined. We realize that there’s nothing worse than getting a blank screen when you go to watch the big game on TV or trying to watch a movie with a speaker system that isn’t emitting any sound. To ensure you’re able to get the most out of your home theater system, we’ll show you exactly how to work it after the wiring and setup processes are complete. 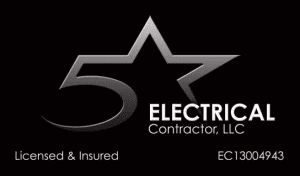 At 5 Star Electrical LLC, providing excellent service is one of our core values, and it shows in all of the work we do throughout the Tampa, Florida area. Get in touch with us to find out more about our home theater installation services and what they include.